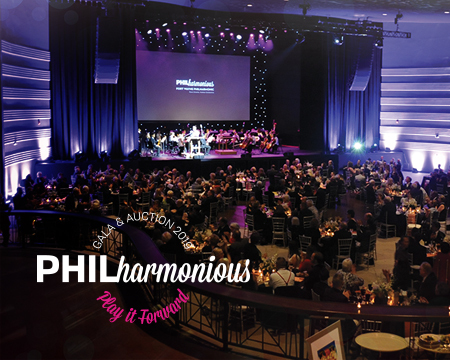 The Fort Wayne Philharmonic Board of Directors cordially invites you to the PHILharmonious Gala & Auction: Play it Forward, in support of education and community engagement programs. Play It Forward celebrates the Philharmonic’s 75th Anniversary, insuring a future filled with glorious music on behalf of everyone in Northeast Indiana. PHILharmonious: Play It Forward returns to the art deco masterpiece, The Clyde Theatre, known for its midcentury modern architecture and unparalleled sound system. The Clyde will offer a “second to none” backdrop for a gourmet dinner, entertainment, live and silent auctions, and an exciting visual and illuminating spectacle.